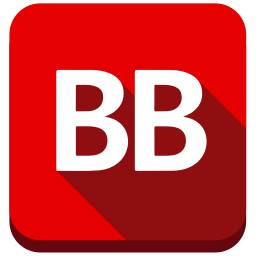 The plot was intriguing and twisty turny …You’ll be on the edge of your seat while your wondering who is behind all the mayhem. 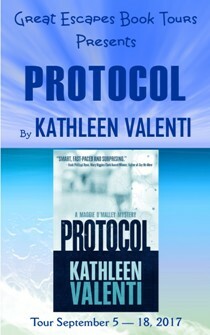 Protocol by Kathleen Valenti will keep your pulse racing and keep you on the edge of your seat. 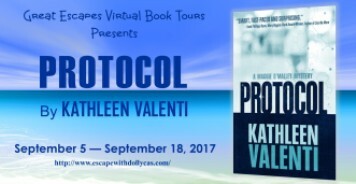 Protocol by Kathleen Valenti is definitely not a cozy, but a gripping medical thriller and suspense/thriller. 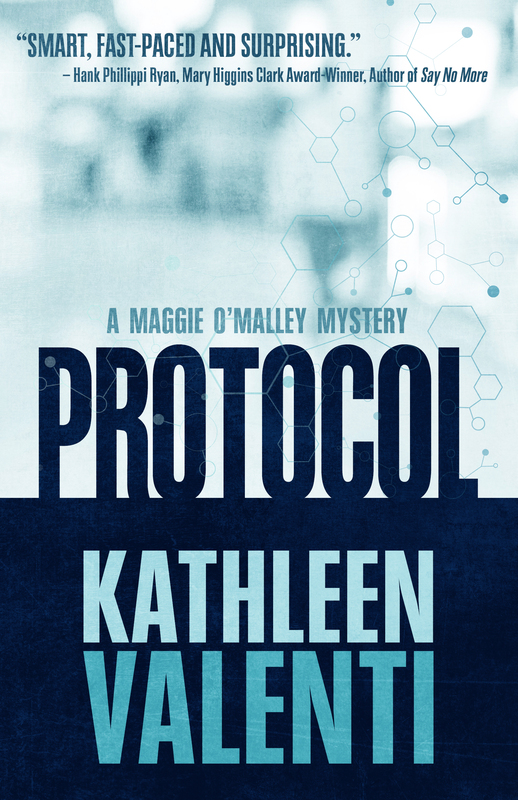 Protocol is a fast-moving page-turner, with a complex, intriguing, and exciting plot. Kathleen Valenti has written an excellent suspense novel combining greed and medicine and the lengths people will go to for that almighty dollar. I am shocked this is her debut effort in the mystery realm. She hit it out of the park! What a powerhouse of a novel! The authors descriptive writing style brings the story to life. This book was a page turner and I could not click through my Kindle fast enough.